Tuesday night, I passed out at 10:30, anxious for the warm bliss of sleep and to escape from D for a few hours. At 3:00 a.m. my alarm shrilly awoke me. As I threw back the covers, Peanut grunted her unhappiness at being woken at such a rude hour, cracked one eye to see if I was going to make her get up and promptly fell back asleep. I crept quietly to the door by the blue light of the satellite and turned the knob. Gently I turn on the hall light, even our wiener dogs, who love to sound the alarm, are too tired to even care who creeps about our house that evening. I’m torn between gratitude and annoyance, because really we ask so little of them. I grab the testing kit and go sit on the edge of Seth’s bed. I pull his hand out from under the warm cocoon of blankets, prick the surface and gently squeeze. Nothing comes. So I change the lancet and try again, nothing. What the heck? I try once more and again, nothing. I am so frustrated, I am normally the person who can get blood when no one else can. My tired brain tries to think of what to do. Hmm, I finally realize that my bladder is screaming so loudly I can think of nothing else. I run to the bathroom to silence it’s scream and then head back to Seth’s room. This time, the dog barks viciously as I approach…really? I’ve been up for 5 minutes at this point, some watch dog you are. Seth wearily throws his arm at me, then snatches it back and yells “I’ll do it!”. He gets it on the first poke, I won’t enlighten him that this is actually the 4th poke to his poor fingers, thought I suspect he knows. 95. Go back to sleep son, see you in the morning. I crawl back in bed, close my eyes and toss and turn. After about 45 minutes I begin to see pulses of light. Oh please no. The pulses get bigger and I know I need to take my migraine medication, but if I do, it will knock me out and I will be of no use in 2 hours when it is time to get kids up for school. And so begins the inner battle of a working mother. Do I, don’t I, what do I do? The headache continues to worsen until I ultimately decide that I will stay home from work, so I battle the headache until it is time to wake the kids up. Except…once Seth realizes I am staying home he begs and pleads and cries to stay home too, because he’s tired and he HATES school. Ugh! Now I get to deal with my pounding head, sketchy vision and a uber cranky kid, lovely. I put on my mean mommie face and make him go to school because I know that with D there will be days that he can’t go to school and this is not one of them. I get him on the bus and thank Heavenly Father that Leah was kind enough to offer to get herself ready for school so I can go back to bed at 7 (she leaves at 8:30), right now she is my favorite child. I take my medicine, use Peace and Calm essential oil and collapse into bed and blessed dark sleep. I don’t remember exactly what happened after that, but I know when I woke up at noon with a slight headache, Mark was in bed and I had a now melted ice pack on my head. Mark said when he came in I was moaning and mumbling, all he could understand was migraine. Bless his heart for administering the icepack. I realized when I went downstairs and surveyed my trashed house with laundry that needs to be done and dishes that are piled in the sink…this is the first time I have been alone since Seth’s diagnosis. We have been so busy trying to put everything in place for Seth, that I’ve had no time to clean or think about anything but D. So you know what I did? I bought shoes for my family for our upcoming trip to Walt Disney World. Seriously, how cute are these? 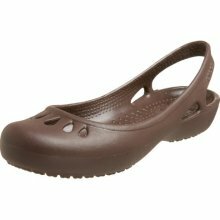 Crocs have come a long way my friend! I made dinner reservations for our vacation. I looked at lanyards and id pouches. I didn’t clean or do laundry, I didn’t get a head start on dinner. I simply enjoyed myself yesterday afternoon. And I went to bed early and slept so hard that I slept right through Seth’s 3am check. I woke with a pang of guilt at 6 and checked his number, 95. Whew! That WILL NOT become a habit. So today, I am feeling only slightly tired, but more balanced than I have felt since this whole rollercoaster began. Yesterday’s migraine was worth the peace I got to feel yesterday afternoon. I need to do better at being more balanced in my daily life. Mom’s need sick days too! 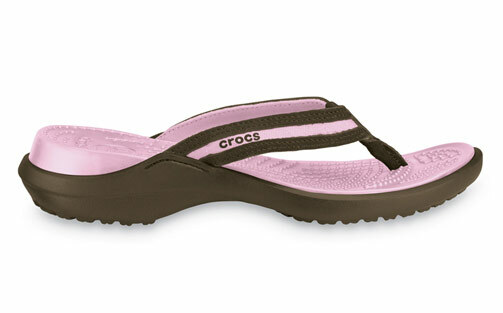 I definitely agree that all mothers need some down time, some chill time, some buying new crocs time :) P.S. have you ever seen the documentary "Forks Over Knives"? You can get it on netflix. It has drastically improved the health and lifestyle of one of our friends here who has diabetes (i'm not sure what type he has). I highly recommend it!!!!! my croc flip-flops are my shoe of choice once the majority of the snow melts and until it falls again. just boring black, but I love 'em! Glad that you recognized what you needed. And bless Mark for the icepack. The shoes are super cute and I'm glad you got some Becky time. I love you.